Born in 1986, Mike was diagnosed with hemophilia and needed brain surgery at two days old (which was likely when he also contracted hepatitis C). He’s had serious chronic and life-threatening medical issues his entire life. 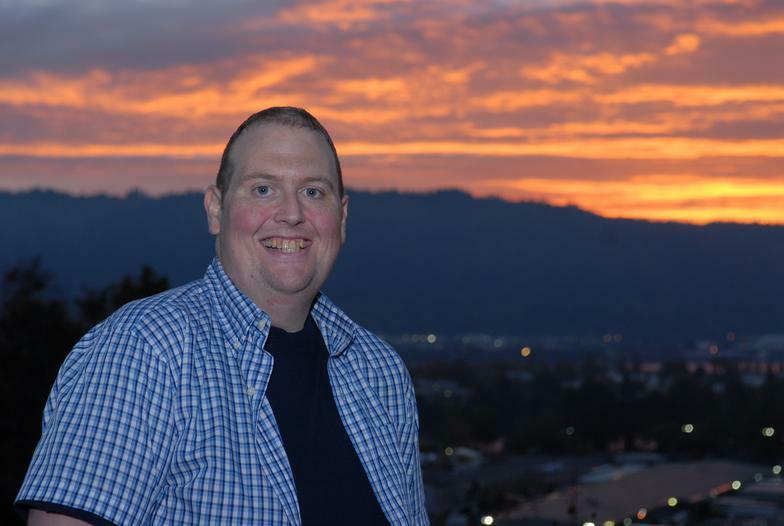 He’s dealt with painful joint bleeds, surgeries, hospitalizations, obesity, exorbitant medical bills, and the death of family and friends in the hemophilia community. And then he was diagnosed with dilated cardiomyopathy in 2004, a heart condition that can lead to heart failure and death. Mike has shown himself to be a true warrior with an unbreakable spirit. In the midst of all of these road blocks, he pursued his passion for cooking and went to Le Cordon Bleu, graduating in 2012. When told in 2014 he would need a life-saving heart transplant but didn’t qualify because of his hepatitis C and his weight, he moved forward with a renewed determination. He successfully went through a new hepatitis C treatment and lost 280 pounds in the last two years, using his culinary skills to prepare healthy and delicious meals. Mike was admitted to Cedars-Sinai in Los Angeles on April 11, 2016, and he received his perfect new donor heart on May 9, 2016! He was able to move back to Portland, Oregon in August 2016, and is still working on cardiac rehab and regaining his strength and independence. Mike's failing heart took too great a toll on his kidneys, and he started kidney dialysis 3x/week in March 2017. Twelve people stepped forward to see if they could donate one of their healthy kidneys to Mike, and Alicia was confirmed as a perfect match! On Halloween day 2017, both underwent surgery at OHSU so Alicia could donate one of her healthy kidneys to Mike and give him a better quality of life! "Thank you for continued thoughts and prayers as I recover and heal back to Mighty Mike strength! As always, I ask that you keep my heart donor, and my kidney donor Alicia, in your thoughts and prayers. I wouldn't be here with this extra borrowed time if they didn't make the selfless decision to check their donor box!"